Hoo boy, am I excited for next week’s page. There are lots of little scenes I’ve died to share from the moment I wrote them, but this one is special. You’ll understand why when you see it. 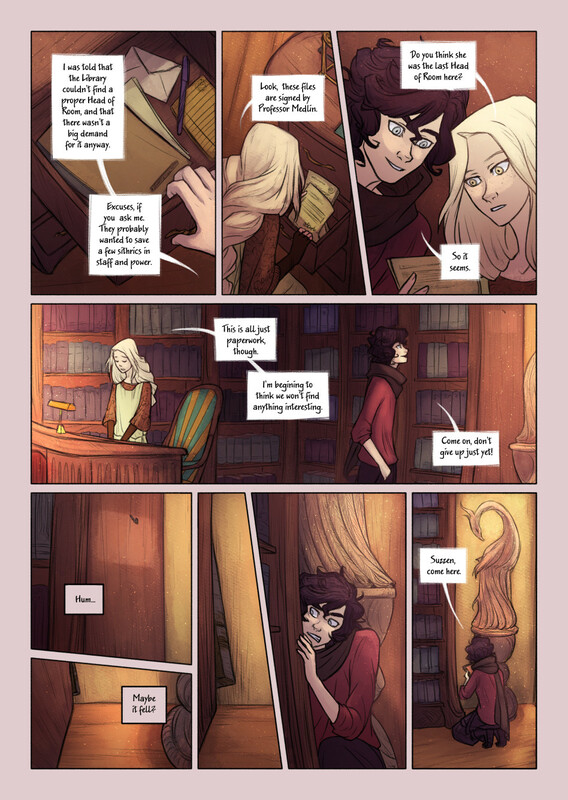 By the way, that statue there is the Bookwyrms world’s “phoenix”. Like the griffin, this is not your classic phoenix. It’s purple-red, for a start. In case anyone is interested, I’m accepting character commissions for a short period of time, starting at £10! You can take a look at the guidelines here. You can ask for Bookwyrms characters drawings too! Or custom portraits of yourselves as characters, etc.